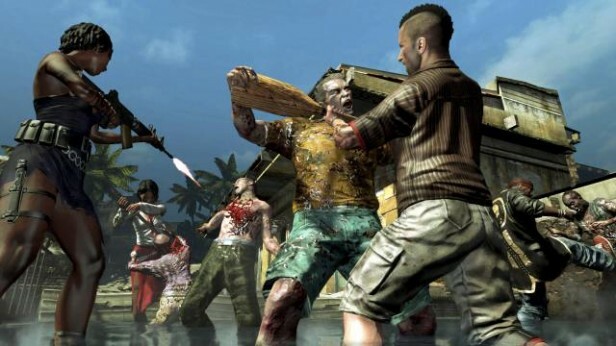 Dead Island crashes into the number one spot on uk charts in the first week, knocking Injustice: Gods among us down a peg, but the zombie slayer only managed to sell half of what it's predecessor originally managed to achieved back in 2011. Still it looks like majority of the UK is infected with zombie fever. Meanwhile Tomb Raider secures number 5, Sonic and the gang are holding onto fifteen and Star Trek is comfortably on number four. Wow, really wasn’t expecting this. People that are buying Riptide are basically telling the publisher that it’s ok to release the exact same game with a less interesting game world, add a few problems to it and charge near full price for the package instead of releasing the damn thing as a 5 or 10 dollar DLC. Dead Island Glitchtide and Star Trek…… sigh…..
Good to See Lego City Undercover and Luigi’s Mansion getting some love.